What are the Consequence of Self Medication? On this post we will be stating various consequence or effect of self medication on our health. Self medication is the intake of medicine without doctors prescription. We tend to buy drugs anytime, anywhere in drug store, chemist, or even one on one drug sales without doctor recommendation. The act of doing so is disastrous that it causes so many health issues and may even cause death. 1. Death: One of the major effect of self medication is death. You really do not need to take drugs yourself without doctors prescription because you stand a chance of facing death. 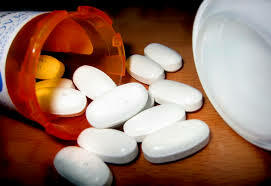 You may wrongly take a drug with side effect and which may block your arteries. There was a time a fellow swallowed an expired chloroquine tablet and immediately cause seizure of the heart. 2. Temporary Relief: Most self medications usually result to temporary relief of pain such as cold, cough, body pain, malaria, body temperature, feverish conditions etc. You may feel a little relief of pain but after a few days or hours, the sickness continues with a more complicated health issues than the existing one. 3. Reactions: Some drugs may be very reactive especially Antibiotics and Analgesic and you really need to do away with some of these drugs without prescription. It cause unnecessary reactions to your health when you do that often. 4. Overdose: When you take self medications especially when its too much, then you are compiling overdose of substances in your body. All these may bring about serious health issues or illness. 5. Cell Resistance: If you have the habit of taking drugs without doctors prescription known as self medication, then your body cells will build a resistant to the drugs and it may never work for your body again. 6. Destroy Self : If you indulge in self medication, you are on the track of destroying yourself and how? You may use the wrong medication which may affect some organs in you. You can also destroy yourself through this self medications is when you really do not understand the drug and the effect may cause you landed in the hospital. These are ways to avoid self medication through some of the effect posted above and those which are described above. Thanks for reading.